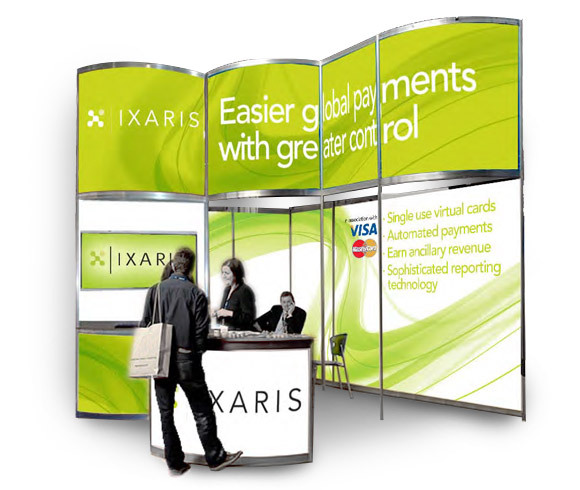 Ixaris makes complex global payments fast, easy and accessible, and its technology enables enterprises within the incentive, travel, market research and financial services industries to take advantage of innovations in payments within their business processes. 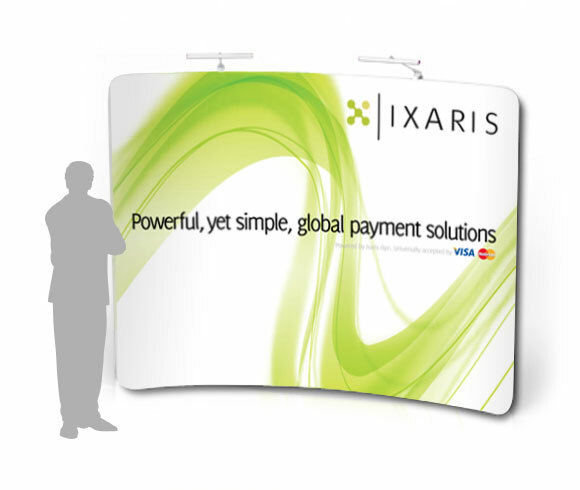 Headquartered in London, Ixaris has technology and customer operations divisions in Malta. Ixaris is a privately-held company, funded by leading UK institutional investors. We have been fortunate to have worked with the marketing professionals at Ixaris to help them thru 2 brand identities and the development of a secondary platform branded EntroPay. 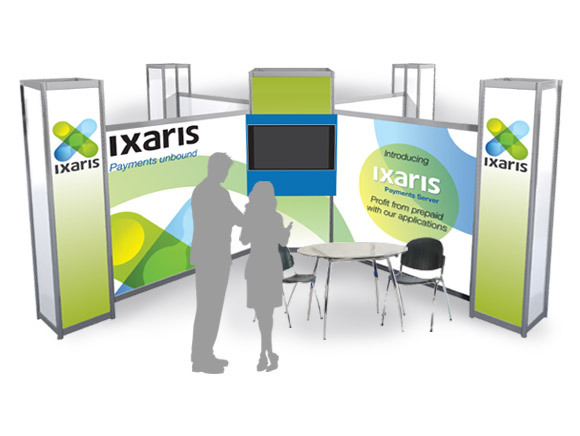 A large amount of the sales for Ixaris are developed thru trade show marketing efforts. We have designed and managed the construction of their booths for shows in the UK, USA, Ireland and Turkey. Often, the time required to orchestrate a large booth construction is not feasible and for those smaller shows and last-minute opportunities, we developed a portable backdrop of stretch fabric that fits into a single container easily checked as airport luggage. The stretch fabric makes it easy to change graphics for specific shows.